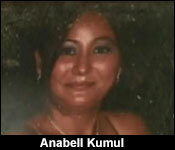 38 year old mother of two, Anabel Kumul was charged for the murder of her common law husband today in San Pedro. She was arraigned and remanded about 30 hours after she allegedly stabbed the 28 year old Felix Alamilla in his leg, chest and eye. 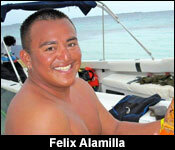 The wound to the leg severed an artery and it is believed that caused him to bleed out. According to reports - Alamilla had gone missing from home for two days and that was supposedly what triggered Kumul to head out at dawn yesterday to find him at a house where he had been spree-ing with friends. She allegedly found him asleep, then jumped on him and started inflicting the stab wounds. Kumul is a Mexican resident on San Pedro and police say they caught her trying to take a flight off the island at 7:00 am. Island police are also investigating the possibility that someone may have cleaned up the crime scene before police arrived.